Bumble and bumble’s Hairdresser’s Invisible Oil shampoo and conditioner are renowned for being lightweight, non-greasy and sulphate free. 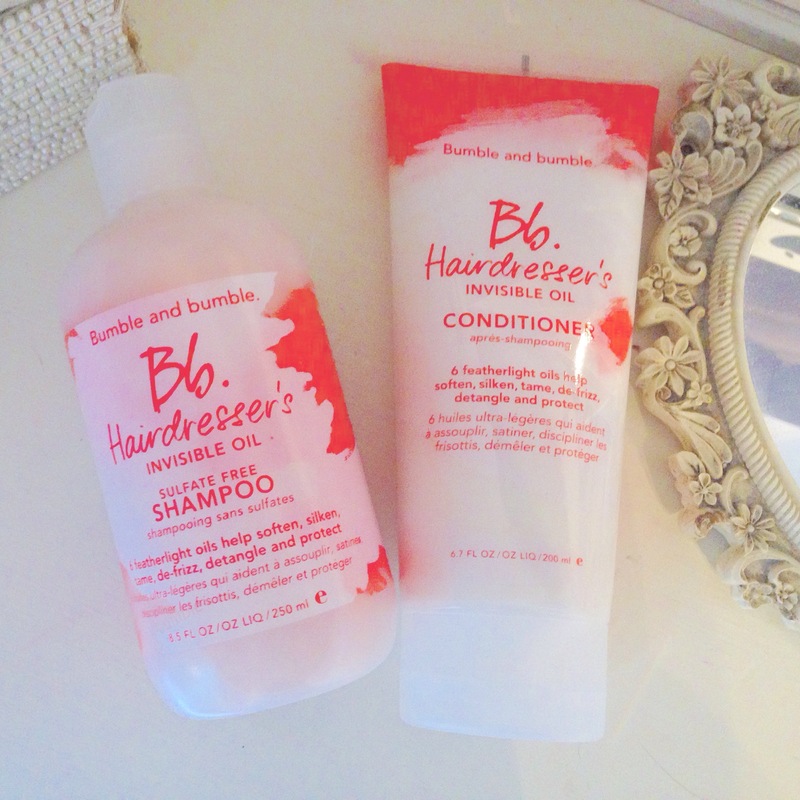 I don’t use Bb’s shampoo and conditioner on a regular basis however I absolutely LOVE these for when my hair needs a moisture boost, in particular following a colour session. To start with they smell absolutely gorgeous and I find them to be highly nourishing without weighing down my fine brittle hair. It must be down to the 6 scrumptious featherlight oils they contain, yes that’s right 6!!! coconut oil, argan oil, macadamia but oil, sweet almond oil, safflower seed oil and grapeseed oil. After using these my hair always feels soft and nourished without looking greasy. They are great at detangling my comb glides through my wet hair like a hot knife through butter. Hair is at it’s most fragile when wet, it’s easy to cause damage if you are tugging and pulling. *Top Tip* Shampoo your hair as soon as you step into the shower and apply your conditioner – then proceed to cleanse your body/exfoliate and whatever else it is you do in the shower! Always make rinsing your hair out to be your last job, this way you’ve given your conditioner time to penetrate and allow the steam of the shower to work it’s magic! If you can bear it finish with a cool rinse to add extra shine to your hair and wake up your skin! What Bumble and bumble products have you tried and loved?